Blessings of Chemical Sensitivities | Will Power to Just say No! Just say NO to Holiday Junk Food! 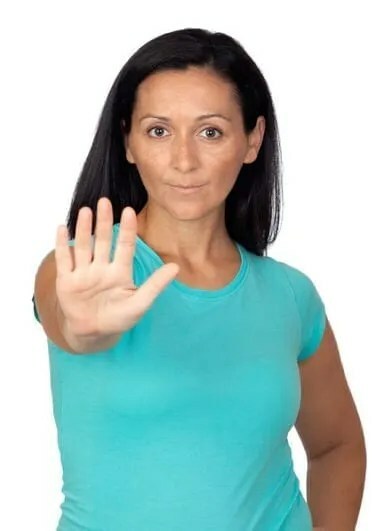 People pleasers with sensitivities (you know who you are), understand that the most difficult part of healing is building the will power to just say NO! You find it a nearly impossible to turn down foods, people, and situations which you know will sacrifice your well being. At times, my cultural conditioning has nearly cost me my life. For example, when I was younger, rather than stay at home during the holidays, I chose to hang with my boyfriend in a smokey room at his office Christmas party. I felt ashamed of my food allergies and sensitivities–a curse that kept me from a “normal” life for which I yearned. Consequently, I spent a sleepless night after that Christmas party wheezing from asthma. Listen to Your Sensitivities: They are Speaking to You! I wonder where I would be now without the blessing of sensitivities. I did not see my chemical or food sensitivities as a blessing for years–sensitivities which demanded me to find my voice, implement boundaries, and develop my will power. However, it was only in building my No! muscle that I was delivered all the big Yes’s! in my life. These Yes’s include the work I love, understanding friends, a partner I trust, and children I adore. And now I am able to say yes to delicious food choices which actually delight me. Sensitivities masquerading as limitations and restrictions created a life of possibilities beyond my wildest dreams. This is what can happen when we take care of ourselves as if we were the most precious being in the world. Yes, the detox journey goes beyond food — but starts with what we choose to put in our mouths … and with will power! What gives you the will power to say No, thank you, when someone offers you a sugary, fat-laden holiday treat? And, where do you muster that will power when alone late at night, and the munchies strike? BREATHE. Take ten slow, deep breaths. Feel the quickened breathing and speedy pulse of a food craving release as you bring your consciousness to it. WRITE. Grab a notebook or scrap of paper, and write three stream-of-consciousness pages about the feelings in your body, and memories surfacing with them. Be detailed. Do not censor yourself, and do not judge what appears on the page. MOVE. Take a walk, jump on a rebounder, do sit-ups or stretches. This also prompts you to breathe deeply. CONTACT. Call your cleansing buddy. This is the partner you have chosen as your go-to support in times of stress. We all need a cleansing buddy! It is nearly impossible to overcome lifelong conditioning without a strong support system. If you do not have one, or are looking to expand the one you do have, please join me on Nov. 2-9 or Dec. 1-6 for the Mini Happy-Gut Makeover! Meet new friends, gain new insights, and discover new tools during this entertaining week of camaraderie and self-care. There is no better holiday gift to give yourself than a new support system, tons of new energy, and the confidence to sustain it.